Are you searching for an exciting early spring getaway in the USA? Then, Miami will be a very good choice, as flights to Miami from London are cheap and the weather is warm throughout the entire year. With a bustling nightlife, its strong Latino and Caribbean influences and exciting activities in the surrounding area, you will surely not get bored here! The best Cuban coffee and culinary treats outside of Cuba are possibly to be had in Miami. Add Southern Slow Food and Floribbean cuisine to the palette, and you know that your stomach is definitely going to fall in love with the place. There are several culinary tours available in Miami, and we highly recommend booking at least one! We do not know how good or bad this will be for your bikini line, but an early morning or evening jog along the beach will for sure make up for the additional calories. Note that Miami and Miami Beach are actually two separate cities. However, both have a waterfront. You will find the best beaches in neighboring Miami Beach – South Beach is one of the best known ones. Stroll down Ocean Drive and feel like a local while soaking in the sun! 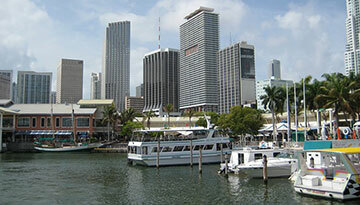 Miami City is the commercial and financial hub of Florida. Rated America’s cleanest city by Forbes in 2008, inhabitants enjoy a great air quality, clean drinking water and extensive green parks. Having been founded rather recently, in the 19th century, one of the only historical landmarks is the Freedom Tower from 1925. However, the city does have an ancient, 12th-century monastery. Incredibly, the cloister was bought by an American, dismantled stone by stone and shipped all the way to Miami. The Monastery of St. Bernard de Clairvaux clearly earns its title as “biggest jigsaw puzzle in history”, as it was then put together again by entrepreneurs to use it as a tourist site. Do take a trip there to marvel at it and at how it was transported all the way from Europe to a city that was founded quite recently! If you feel like getting out into the green, check out the Everglades Safari Park. Speeding around on airboats, you will discover the Everglades and the local wildlife. Other attractions that received a high rating and recommendations on diverse online sites are the Zoological Wildlife Foundation, the Miami Zoo and the Safari Edventure. 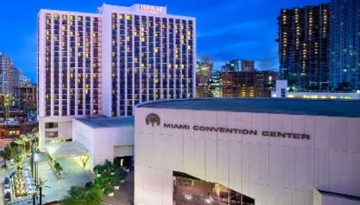 Miami has an extensive public transport network, and you can easily get around by bus, the Metrorail or the Super Shuttle. The downtown area and most of Miami Beach are walkable. The best time to travel to Miami is in spring, from March to May. During that time, there is only little rain and the temperatures are nice and warm. Want to compare flight tickets to Miami from London? This is the right time to do so. You don't want to miss out some of the incredible tourist highlights this time in the city. Hyatt Regency offer all the necessities for travellers to have a comfortable with 4 star accommodation. 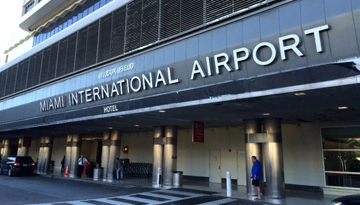 Fly from London - Miami & Stay for 5 nights with 3 star accommodation. Room Only.